The government’s digital by default strategy means we must speed up our move away from paper and use digital solutions to inform and remind people about screening. The North Midlands Breast Screening Service, based at University Hospital of North Midlands, has risen to this challenge by using Facebook to help reverse a 10-year decline in uptake. 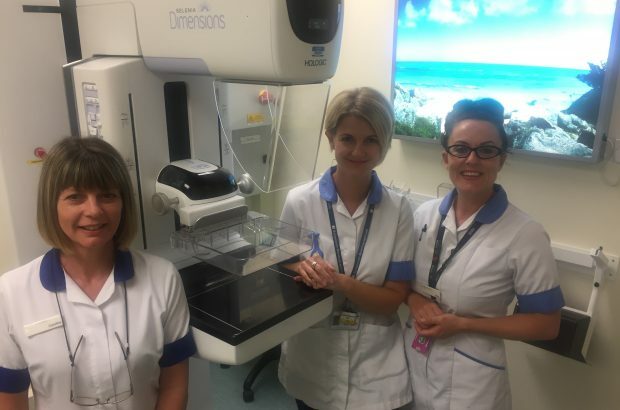 Its social media initiative has led to a stunning 13% increase in first time breast screening attendances in Stoke-on-Trent since a low point of 2016. Gina Newman pioneered the project in 2014. Gina has worked in breast screening for 17 years and been a health improvement practitioner for the past 8 years. She now works 3 days a week as Lead Health Improvement Practitioner and 2 days a week in her clinical role of Advanced Assistant Practitioner. In 2017, Gina collaborated with the NHS Digital Widening Digital Participation Programme to obtain funding to maximise the project’s reach to make digital information accessible to everyone – particularly the most excluded communities. She and health improvement practitioner colleague Jessica Mulroy Johnson are both passionate about using the project to help reduce health inequalities and improve health outcomes through education, community engagement and partnership working. I wanted to explore innovative methods of engaging with women. Reflecting on how I access relevant local information myself, I thought a social media approach would be effective. After researching who accessed different forms of social media, I found that Facebook was the most widely used social media platform accessed by women eligible for screening. The project is part of NHS Digital’s Widening Digital Participation Programme, which aims to make digital health services and information accessible to everyone – particularly the most excluded in society. The team posts information aimed at encouraging women to spread the message about the benefits and importance of screening. 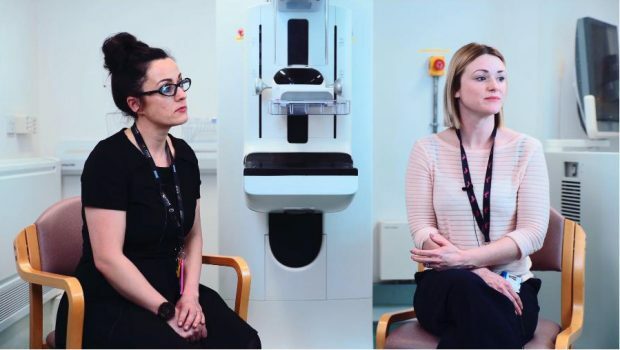 The posts include women explaining the screening process and their personal experience of it, as well as videos showing the rooms where screening takes place. The service also answers questions from the group using the Facebook page and by direct messaging. This helps reduce anxiety around breast examinations and enables women to book appointments more easily. We have seen the North Midlands Facebook page go from strength to strength, ultimately resulting in an overall increase in uptake. The community aspect of the group is very powerful and our page has the largest following for a breast screening service in the UK. We have seen an increase in the number of ladies who have booked and attended their appointments, who might not have done otherwise. It’s great to see the members supporting one another and sharing the page further with family and friends. By establishing a positive conversation targeted at local communities, we can empower women to make an informed choice and break down a number of barriers towards breast screening. There has also been strong, positive feedback from the GP practices, who have thanked us for helping them raise awareness of screening and increase uptake. 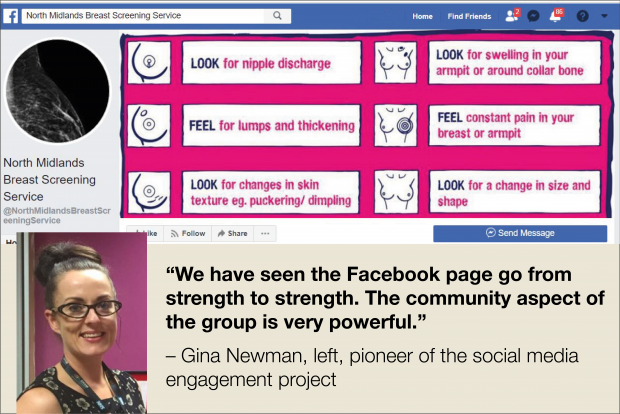 The North Midlands Breast Screening team also uses Facebook to link with health inclusion groups which share its information and videos, including the example below. These include transgender, learning disability and carer organisations. Gina and Jess have showcased the work nationally at events such as NHS Expo 2018. They review the digital engagement project quarterly and best practice is still evolving. We would like to hear about as many innovative and successful ideas to increase screening uptake as possible. Contact us through the PHE screening helpdesk and we will aim to share them through the blog. We would encourage project leaders to publish their results in journals so their value can be shared nationally and internationally and the UK National Screening Committee can include results in its formal evidence reviews. You can also contact the screening helpdesk if you would like to get in touch with Gina for more information about the North Midlands Breast Screening Service Facebook project.